People are amazing. It might not seem it at times. Flick over to the the latest news reports from around the globe and you would be forgiven for feeling a severe lack of faith in humanity. Our environment is in a state of neglect, violent wars rage on, poverty still starves and strickens many whilst wealth and greed looks on from a self proclaimed illusion of contentment and superiority. This is only reflective of the minority however and we consider ourselves lucky that we get to witness quite a different picture of people painted as we travel around this beautiful country of ours. 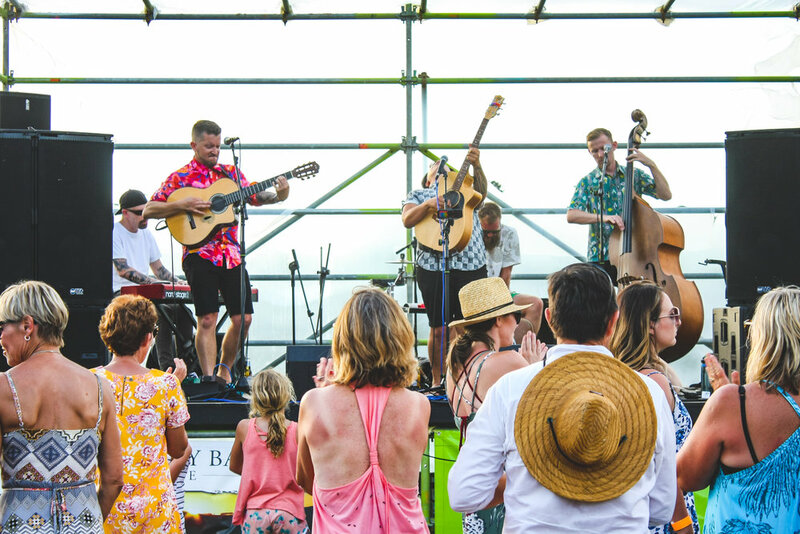 Last weekend we traveled to the Coromandel to play at a festival in support of The Westpac Rescue Helicopter. 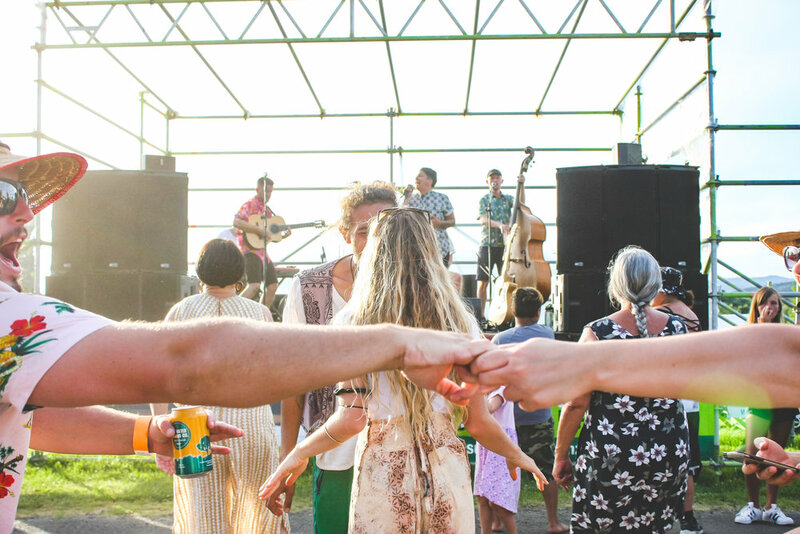 This is an event we love, for a cause that is dear to us all set in a stunning part of Aotearoa amid blazing summer weather so it was always going to be a good time. The part of this trip that came slightly unexpected, was the warm welcome and hospitality of our amazing hosts. These guys don’t just know how to host visitors, they genuinely love it. Meeting some of our supporters that were actually rather excited to have the WCJ crew staying with them was something quite flattering and surprising but then, the real joy lied in spending some time with them all. 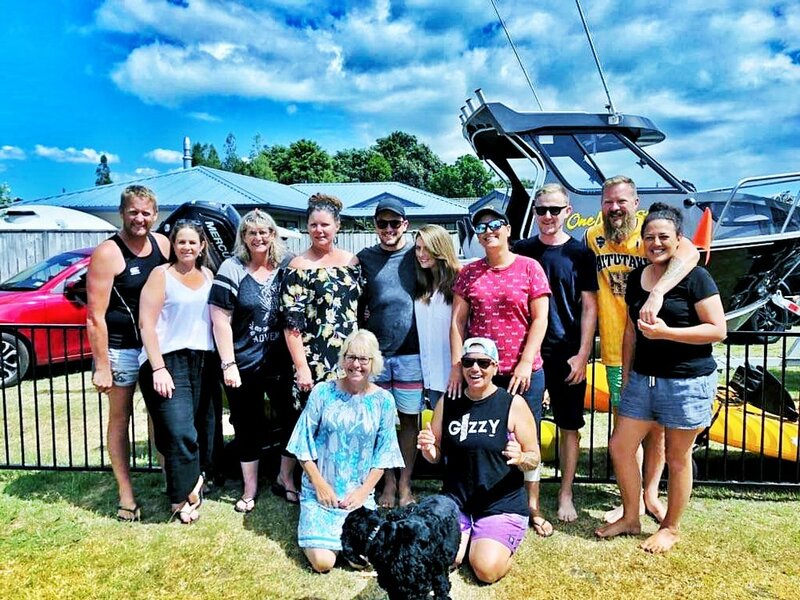 We were greeted with love, our partners were welcomed like whanau, then our host’s friends came to join us and the fun began. Pre show drinks, chats and platters followed by the post show party….just brilliant! Amazing conversations, loads of laughs, cocktails, food and some spotify song selection games that will now be a part of our future road trips! It was humbling, inspirational and just darned good fun. We left there feeling we hadn’t just met some WJC supporters but more so that we had made some new friends. They didn’t host us or share their little slice of holiday paradise with us but rather, welcomed us into their lives. Just amazing and we thank you for such a great weekend. It was tough leaving. It was a reminder of the beautiful side of humanity. The real side. The important side. The amazing thing is, we experience this every week. We meet beautiful hosts at places we stay, warm smiles and laughter at many a road stop for snacks and re-fuelling then there is all the stunning souls we meet at our shows whom each share a piece their lives and themselves with us. It truly is a wondrous thing that this is such a part of our travels and music. Sure, it is important that we tune in to the news, read our papers and our internet reports to know what is happening around the world. Absolutely. Knowledge affects change but… ALL knowledge. It is equally important to watch for those moments of true humanity. Create, witness, celebrate and learn from them. We may tend to forget sometimes but they are never far from us. And if they feel too far away, create them. It can be the smallest thing from a helping hand to a smile, to a drink and a laugh shared in a time of need. We see it every week during our travels. It enriches our lives and makes us better people.